CDBurnerXP is back! 3 years after the last release, CDBurnerXP has returned, completely rewritten in VB.net. This new release fixes many, many issues with the old version, including DVD-video burning issues and a whole lot more. To add to all of this, the program now supports burning to Blu-ray Disc and HD DVD recordable formats! The initial release for this new version (4.0), occurred on September 22nd. I scooped up the first release as soon as it became available and I can confirm that burning ISO images of DVD-Video discs now functions correctly. With any new major release such as this, there are bound to be some bugs and issues. Knowing this, the CDBurnerXP development team has included error reporting within the application, to allow users to notify them of issues. And this error reporting has certainly been utilized. Just one week after the initial release, the CDBurnerXP team has released an update (4.0.0.15), which has resolved many of the bugs reported by the user community. I have always enjoyed the CDBurnerXP software, but it was a shame that many of the features did not function correctly. This new version fixes all those annoying problems and adds a whole lot more. Any individuals or businesses can download and use CDBurnerXP completely free of charge. 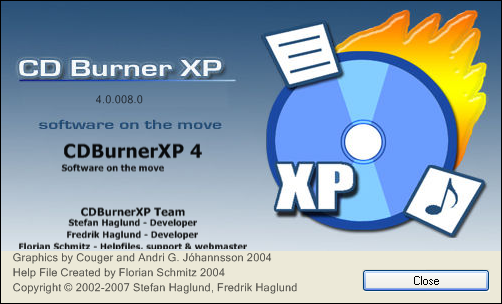 Get it at CDBurnerXP.se and start burning away those recordable discs till your hearts’ content. I have also added CDBurnerXP to my posts about free HD DVD copy software and free Blu-ray copy software. If you are looking for some free software that can handle the next generation optical formats, have a look at these previous posts. HD DVD burning support is a fake for this product. It does not even recognize the HD DVD recordable media inserted into the drive. Thanks for sharing your experience NISMO. I would contact the development team on thier website to let them know what HD DVD burner model you have and what HD DVD-R media you are using. It could be a bug in the software. Is it possible to copy a HD-DVD to a blu-ray disc?